Davinsky Labour Camp, Siberia, 1933: Sofia Morozova knows she has to escape. 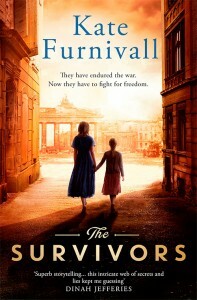 Only two things have sustained her through the bitter cold, aching hunger and hard labour: the prospect of one day walking free; and the stories told by her friend Anna, beguiling tales of a charmed upbringing in Petrograd – and of Anna’s fervent love for a passionate revolutionary, Vasily. So when Anna falls gravely ill, Sofia makes a promise to escape the camp and find Vasily: to chase the memory that has for so long spun hope in both their hearts. But Sofia knows that times have changed. Russia, gripped by the iron fist of Communism, is no longer the country of her friend’s childhood. Her perilous search takes her from industrial factories to remote villages, where she discovers a web of secrecy and lies, but also bonds of courage and loyalty – and an overwhelming love that threatens her promise to Anna.